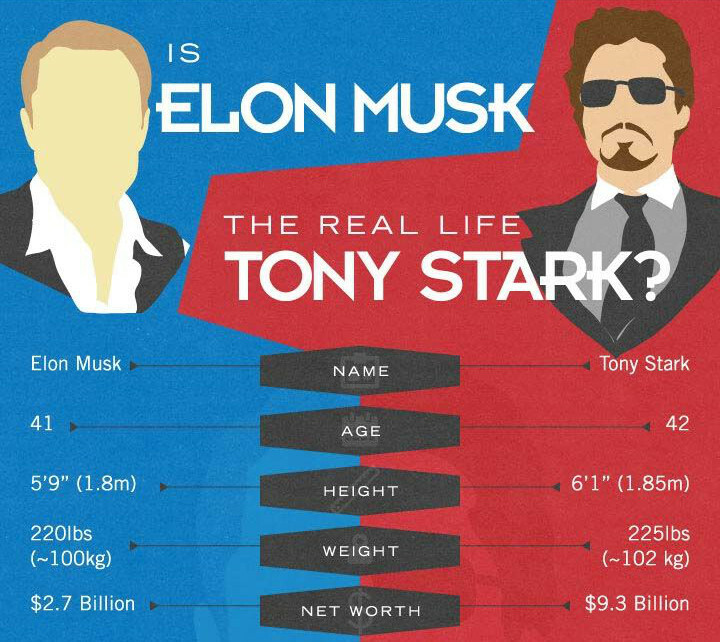 I recently came across an interesting infographic comparing real-life eccentric billionaire Elon Musk to the not-so-real-life eccentric billionaire Tony Stark (aka Iron Man) of Marvel Comics fame. I always knew they seemed similar, but the parallels are actually pretty amazing. The only real difference is that Elon Musk doesn’t have a flying powered armor suit to help him stop crime… and alien invaders. But since Elon Musk does own SpaceX, he might just be able to stop alien invaders, too.